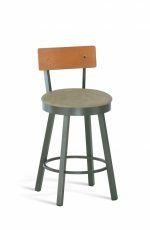 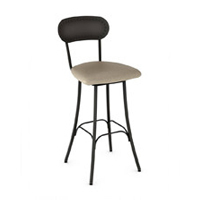 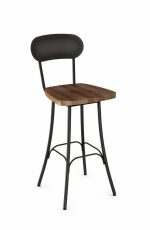 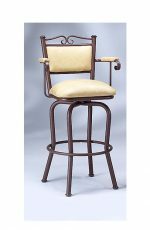 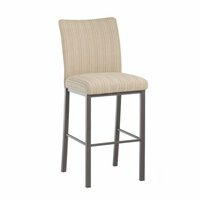 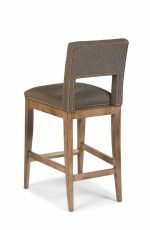 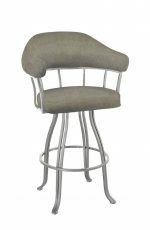 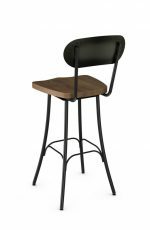 Buy Dilworth Minimal Upholstered Wooden Bar Stool - Free shipping! 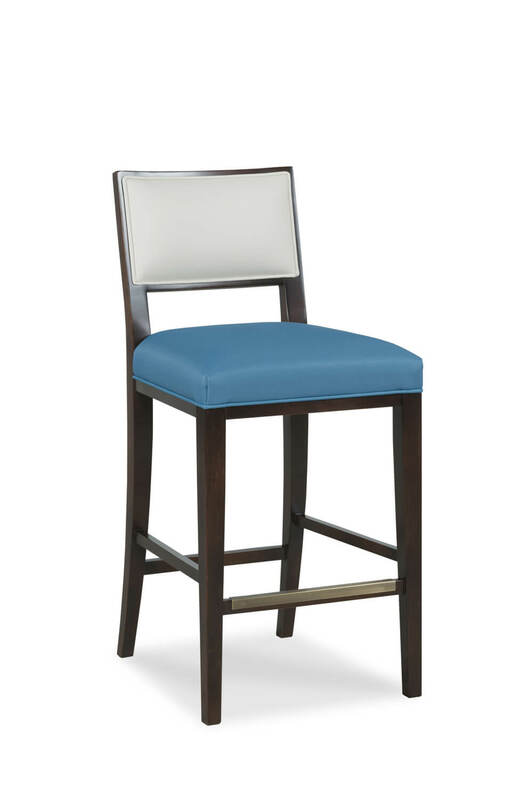 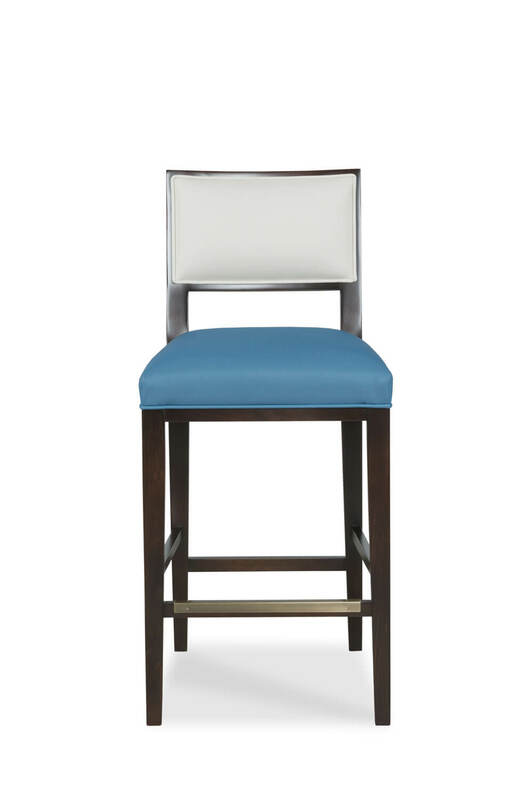 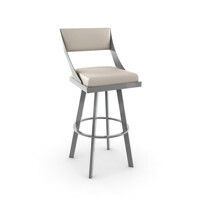 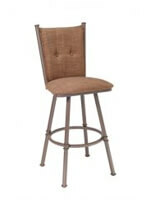 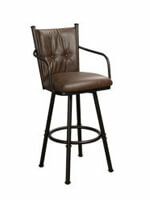 For a clean and modern look, we recommend the Dilworth bar stool by Fairfield. 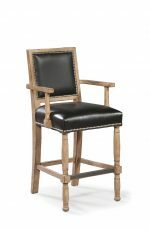 It features an upholstered backrest, a deep and wide seat, and metal footrest. 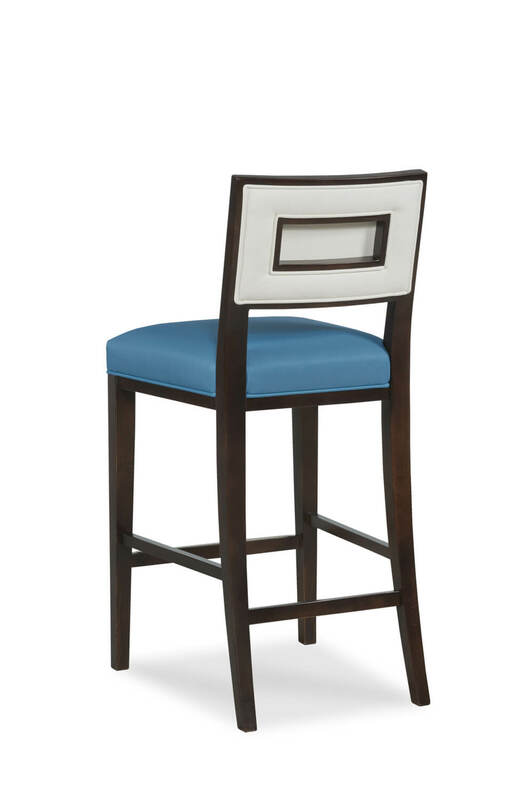 From the back, a rectangular picture frame cutout creates an alluring focal point. 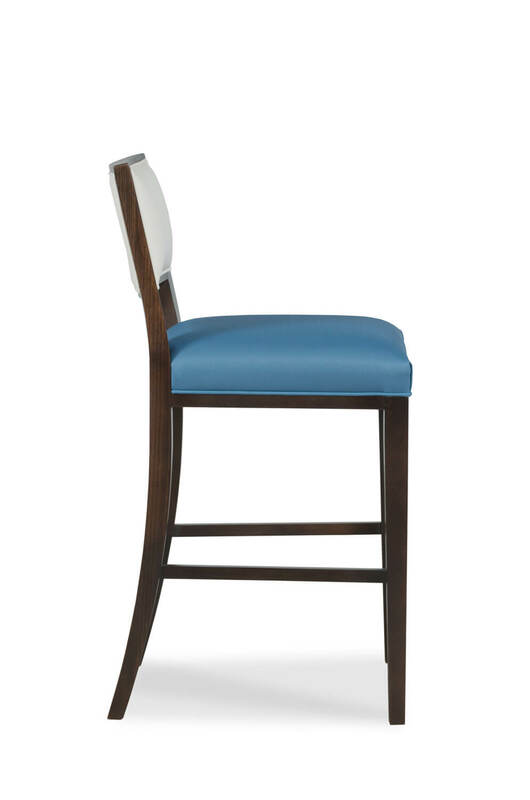 Finally, pick your path: choose one color for the seat and back – or – opt for multiple upholstery colors, one for the back and one for the seat, creating a truly unique design. 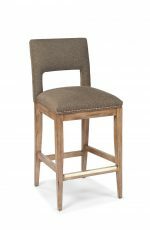 • For the Dilworth Upholstered Wooden Stool with Back, you will need 2 yards per chair.